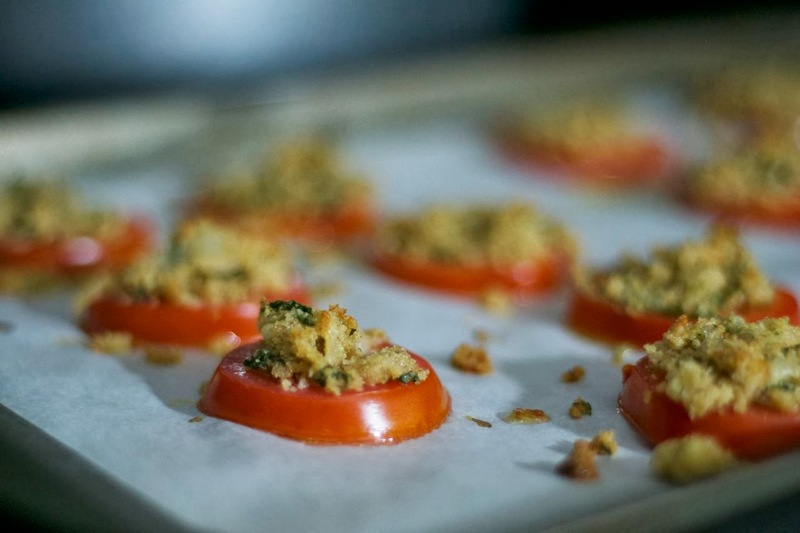 Crumby Tomatoes – tomato slices drizzled with olive oil, and topped with a mixture of garlic, seasoned bread crumbs, shaved Parmesan cheese, fresh basil leaves, and some more olive oil. I had absolutely NO desire to bake today. None. I’m wondering how I ever did this before. Wait. I know. I wasn’t working part-time and had more time to do it. 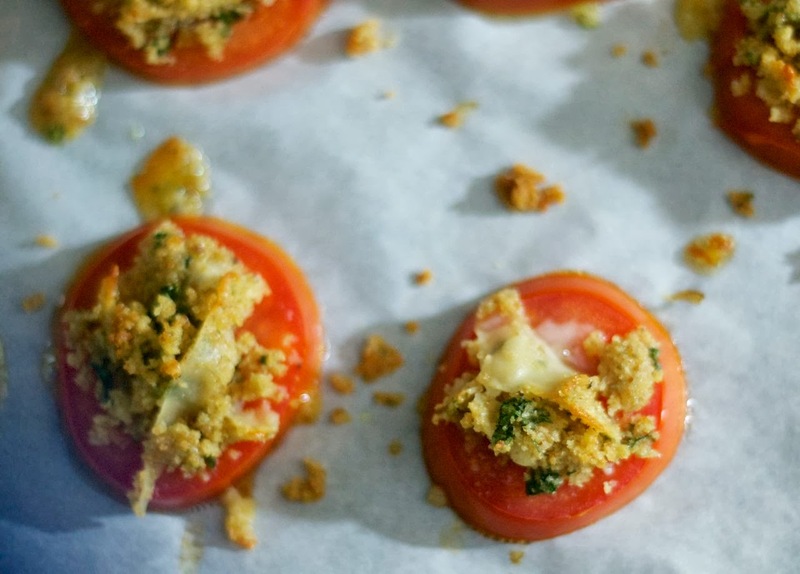 SAVE THIS TOMATO RECIPE TO YOUR FAVORITE PINTEREST BOARD! I don’t think being sick on top of this is helping either. I am getting over it, but all I want to do is S-L-E-E-P for DAYS!!!! And of course, this would be one of the busiest weeks at work. Go figure. 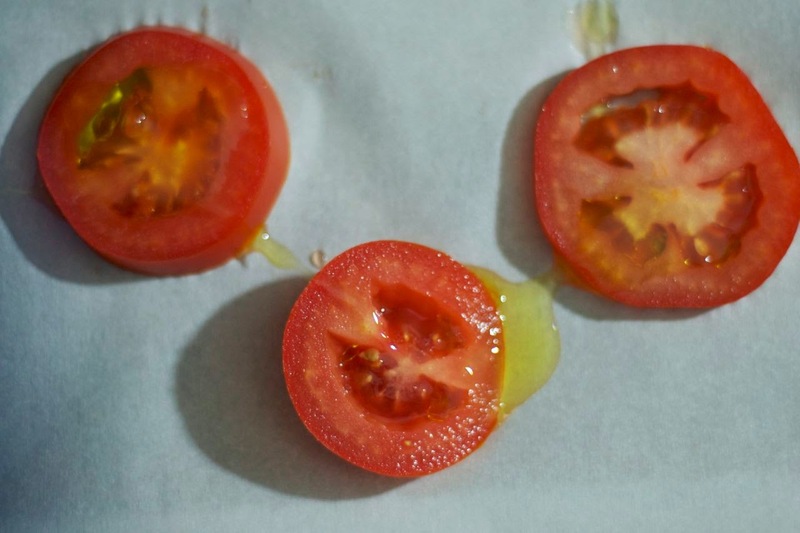 Ok, so when you want a quick, easy, and tasty bite to serve the family while you’re trying to figure out what to make for dinner what time you’re actually going to call and order pizza, these tomato slices will be a great treat! I really couldn’t figure out what to call them, so my daughter came up with the name. I’m not set on it, but it’s what I’m going with. 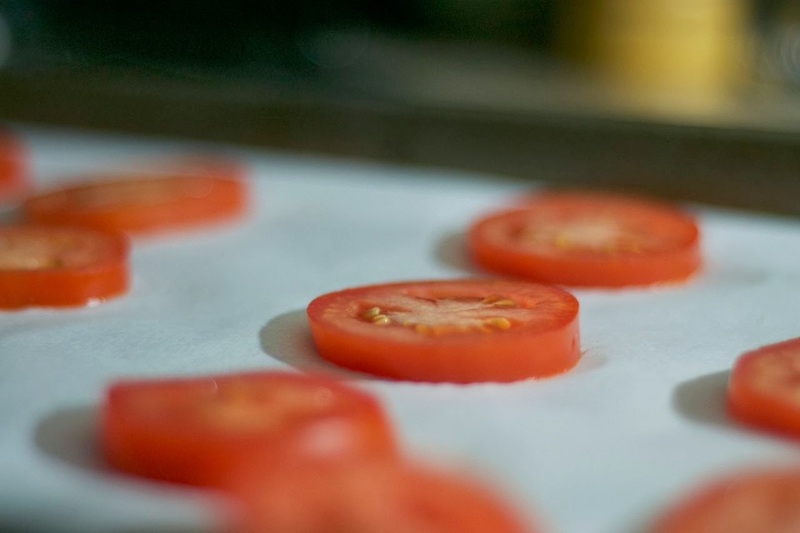 Preheat oven to 375 degrees F. Prepare a rimmed baking sheet by lining it with parchment paper. 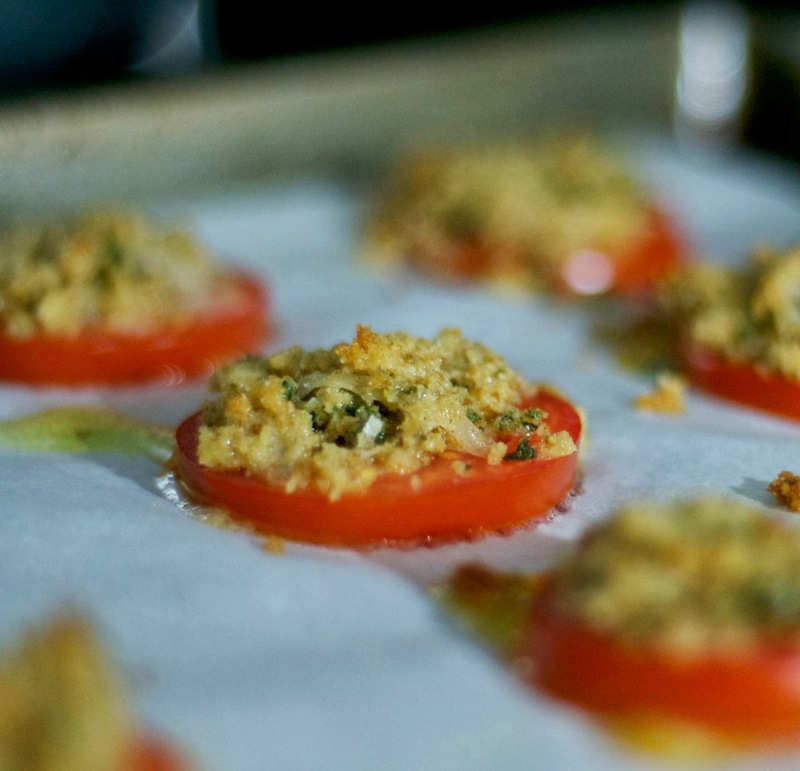 Place tomato slices on the prepared baking sheet and drizzle each with olive oil. 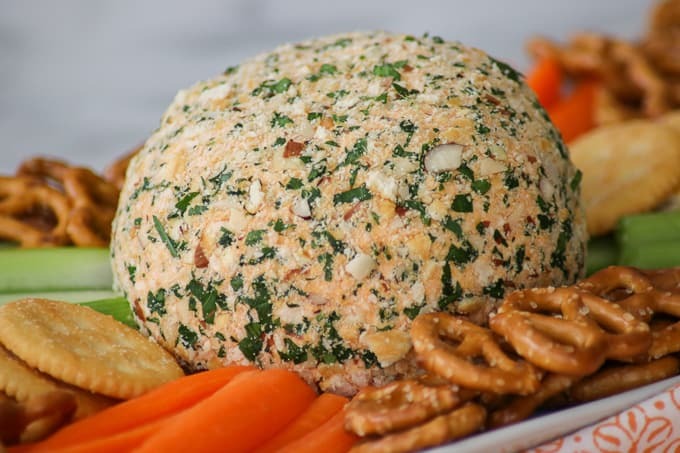 In a small bowl, combine the minced garlic, seasoned bread crumbs, Parmesan cheese, fresh basil, and 2 tablespoons olive oil. Mix thoroughly, and divide evenly among tomato slices. Place into oven and bake for 5 minutes until lightly golden. I rate everything I bake on a scale of 1 -4 with 4 being the best and these Crumby Tomatoes (eh, I’m not really feeling the name, but I’m so exhausted that I can’t come up with another one) earned 3 rolling pins. I really liked them. They were tasty and the fresh flavor of the tomato was awesome. Although Mr. 365 said something was missing. And I think he nailed it when he came up with the ingredient. Lobster. Yeah, I think that would be a great addition and would send this appetizer over the edge. That is, of course, if you even like lobster. Me, no likey. Ick. Which is probably why it would never occur to me to use it or even bake with it. 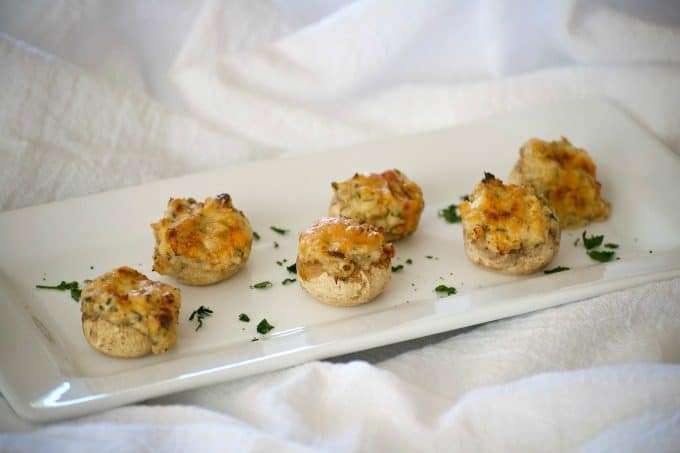 But there are two, possibly three 365 family members who really enjoy it, one of those being my Mr.
Appetizers are just as important as the meal itself at parties. 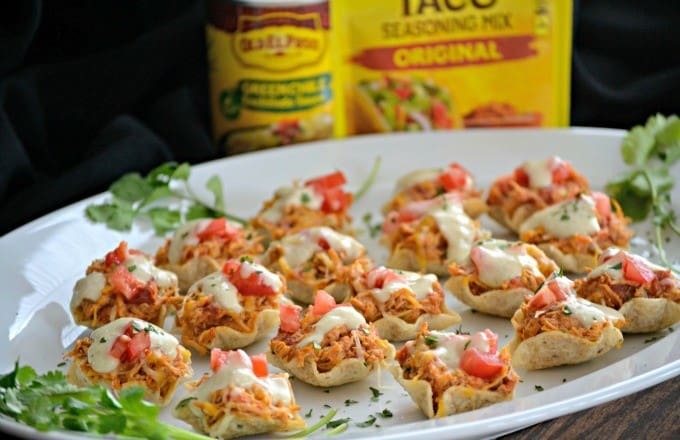 Here are some that are sure to be a hit! Thanks for being with us on Day 16! I know we haven’t posted a video lately on the 365 Days of Baking YouTube channel because my video helper seems to have lost interest in the editing. She was doing a great job, but I think it may have something to do with the fact that her computer takes its’ own sweet time on many occasions and she becomes extremely frustrated. It may be time for her to buy a new one.